The contemporary legal systems of the world are generally based on one of four basic systems: civil law, common law, statutory law, religious law or combinations of these. However, the legal system of each country is shaped by its unique history and so incorporates individual variations. The science that studies Law at the level of legal systems is called Comparative Law. Both civil (also known as Roman) and common law systems can be considered the most widespread in the world: civil law because it is the most widespread by landmass, and common law because it is employed by the greatest number of people. The source of law that is recognized as authoritative is codifications in a constitution or statute passed by legislature, to amend a code. 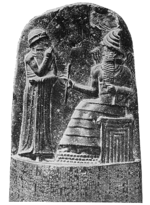 While the concept of codification dates back to the Code of Hammurabi in Babylon ca. 1790 BC, civil law systems derive from the Roman Empire and, more particularly, the Corpus Juris Civilis issued by the Emperor Justinian ca. AD 529. This was an extensive reform of the law in the Byzantine Empire, bringing it together into codified documents. Civil law was also partly influenced by religious laws such as Canon law and Islamic law. Civil law today, in theory, is interpreted rather than developed or made by judges. Only legislative enactments (rather than legal precedents, as in common law) are considered legally binding. Scandinavian civil law: in Denmark, Norway and Sweden. As historically integrated in the Scandinavian cultural sphere, Finland and Iceland also inherited the system. Chinese law: a mixture of civil law and socialist law in use in the People's Republic of China. The Italian civil code of 1942 replaced the original one of 1865, introducing germanistic elements due to the geopolitical alliances of the time. The Italian approach has been imitated by other countries including the Netherlands (1992), Argentina (2014), Brazil (2002) and Portugal (1966). Most of them have innovations introduced by the Italian legislation, including the unification of the civil and commercial codes. The Swiss civil code is considered mainly influenced by the German civil code and partly influenced by the French civil code. The civil code of the Republic of Turkey is a slightly modified version of the Swiss code, adopted in 1926 during Mustafa Kemal Atatürk's presidency as part of the government's progressive reforms and secularization. Argentina The Spanish legal tradition had a great influence on the Civil Code of Argentina, basically a work of the Argentine jurist Dalmacio Vélez Sársfield, who dedicated five years of his life on this task. The Civil Code came into effect on 1 January 1871. Beyond the influence of the Spanish legal tradition, the Argentinian Civil Code was also inspired by the Draft of the Brazilian Civil Code, the Draft of the Spanish Civil Code of 1851, the Napoleonic code and the Chilean Civil Code. The sources of this Civil Code also include various theoretical legal works, mainly of the great French jurists of the 19th century. It was the first Civil Law that consciously adopted as its cornerstone the distinction between i. rights from obligations and ii. real property rights, thus distancing itself from the French model. The Argentinian Civil Code was also in effect in Paraguay, as per a Paraguayan law of 1880, until the new Civil Code went in force in 1987. In Argentina, this 1871 Civil Code remained in force until August 2015, when it was replaced by the new Código Civil y Comercial de la Nación. During the second half of the 20th century, the German legal theory became increasingly influential in Argentina. Andorra Courts apply the customary laws of Andorra, supplemented with Roman law and customary Catalan law. Armenia Based on Napoleonic Civil law and traditional Armenian law. Benin Based on Napoleonic Civil law. Bosnia and Herzegovina Influenced by Austrian law. The Swiss civil law (Zivilgesetzbuch) was a model for the Law on Obligations of 1978. Brazil Based on the German, Italian, French and Portuguese doctrine and codes. However, in 2004 the Federal Supreme Court (STF) have gained the authority to create binding precedents (súmulas vinculantes) about Constitutional norms whose validity, interpretation and eficacy are controversial among the judiciary organs or among these and the public administration. Such controversy must cause juridical unsafety and relevant multiplication of prossecutions about an identical theme for a binding precedent to be created. The STF is the only court in Brazil with such attribution. Republic of the Congo Based on the Napoleonic Civil law. Chile Based on the Chilean Civil Law inspired by the Napoleonic Civil Law. The Spanish legal tradition exercised an especially great influence on the civil code of Chile. On its turn, the Chilean civil code influenced to a large degree the drafting of the civil codes of other Latin-American states. For instance, the codes of Ecuador (1861) and Colombia (1873) constituted faithful reproductions of the Chilean code, but for very few exceptions. The compiler of the Civil Code of Chile, Venezuelan Andrés Bello, worked for its completion for almost 30 years, using elements, of the Spanish law on the one hand, and of other Western laws, especially of the French one, on the other. Indeed, it is noted that he consulted and used all of the codes that had been issued till then, starting from the era of Justinian. The Civil Code came into effect on 1 January 1857. The influence of the Napoleonic code and the Law of Castile of the Spanish colonial period (especially the Siete Partidas), is great; it is observed however that e.g. in many provisions of property or contract law, the solutions of the French code civil were put aside in favor of pure Roman law or Castilian law. Costa Rica Based on the Napoleonic Civil Law. First Civil Code (a part of the General Code or Carrillo Code) came into effect in 1841; its text was inspired by the South Peruvian Civil Code of Marshal Andres de Santa Cruz. The present Civil Code went into effect 1 January 1888, and was influenced by the Napoleonic Code and the Spanish Civil Code of 1889 (from its 1851 draft version). Croatia Based on the Germanic Civil Law. Croatian Law system is largely influenced by German and Austrian law systems. It is significantly influenced by the Civil Code of the Austrian Empire from 1811, known in Croatia as "General Civil Law" ("Opći građanski zakon"). OGZ was in force from 1853 to 1946. The Independent State of Croatia, a Nazi-controlled puppet state that was established in 1941 during World War II, used the OGZ as a basis for the 1943 "Base of the Civil Code for the Independent State of Croatia" ("Osnova građanskoga zakona za Nezavisnu Državu Hrvatsku"). After the War, Croatia become a member of the Yugoslav Federation which enacted in 1946 the "Law on immediate voiding of regulations passed before April 6, 1941 and during the enemy occupation" ("Zakon o nevaženju pravnih propisa donesenih prije 6. travnja 1941. i za vrijeme neprijateljske okupacije"). By this law OGZ was declared invalid as a whole, but implementation of some of its legal rules was approved. During the post-War era, the Croatian legal system become influenced by elements of the socialist law. Croatian civil law was pushed aside, and it took norms of public law and legal regulation of the social ownership. After Croatia declared independence from Yugoslavia on June 25, 1991, the previous legal system was used as a base for writing new laws. "The Law on Obligations" ("Zakon o obveznim odnosima") was enacted in 2005. Today, Croatia as a European union member state implements elements of the EU acquis into its legal system. Cuba Influenced by Spanish and American law with large elements of Communist legal theory. Curaçao Based on Dutch Civil Law. Czech Republic Based on Germanic civil law. Descended from the Civil Code of the Austrian Empire (1811), influenced by German (1939–45) and Soviet (1947/68–89) legal codes during occupation periods, substantially reformed to remove Soviet influence and elements of socialist law after the Velvet Revolution (1989). The new Civil Code of the Czech Republic was introduced in 2014. Ecuador Based on the Chilean civil law. Civil code introduced in 1861. Estonia Based on German civil law. Finland Based on Nordic law. Egypt Based on Napoleonic civil law and Islamic law. Germany Based on Germanic civil law. The Bürgerliches Gesetzbuch of 1900 ("BGB"). The BGB is influenced both by Roman and German law traditions. Guatemala Based on Napoleonic civil law. Guatemala has had three Civil Codes: the first one from 1877, a new one introduced in 1933, and the one currently in force, which was passed in 1963. This Civil Code has suffered some reforms throughout the years, as well as a few derogations relating to areas which have subsequently been regulated by newer laws, such as the Code of Commerce and the Law of the National Registry of Persons. In general, it follows the tradition of the Roman-French system of civil codification. Regarding the theory of 'sources of law' in the Guatemalan legal system, the 'Ley del Organismo Judicial' recognizes 'the law' as the main legal source (in the sense of legislative texts), although it also establishes 'jurisprudence' as a complementary source. Although jurisprudence technically refers to judicial decisions in general, in practice it tends to be confused and identified with the concept of 'legal doctrine', which is a qualified series of identical resolutions in similar cases pronounced by higher courts (the Constitutional Court acting as a 'Tribunal de Amparo', and the Supreme Court acting as a 'Tribunal de Casación') whose theses become binding for lower courts. Haiti Based on Napoleonic civil law. Hungary Based on Germanic, codified Roman law with elements from Napoleonic civil law. Iceland Based on Nordic law. Germanic traditional laws and influenced by Medieval Norwegian and Danish laws. Japan Based on Germanic civil law. Japanese civil code of 1895. Latvia Based on Napoleonic and German civil law, as it was historically before the Soviet occupation. While general principles of law are prerequisites in making and interpreting the law, case law is also regularly applied to present legal arguments in courts and explain application of law in similar cases. Civil law largely modeled after Napoleonic code mixed with strong elements of German civil law. Criminal law retains Russian and German legal traditions, while criminal procedure law has been fully modeled after practice accepted in Western Europe. Civil law of Latvia enacted on 1937. Lebanon Based on Napoleonic civil law. Luxembourg Based on Napoleonic civil law. Mexico Based on Napoleonic civil law. "The origins of Mexico's legal system are both ancient and classical, based on the Roman and French legal systems, and the Mexican system shares more in common with other legal systems throughout the world (especially those in Latin America and most of continental Europe) ..."
Mongolia Based on Germanic civil law. Montenegro Based on Napoleonic and German civil law. First: the General Property Code for the Principality of Montenegro of 1888, written by Valtazar Bogišić. Present: the Law on Obligations of 2008. Norway Scandinavian-German civil law. King Magnus VI the Lawmender unified the regional laws into a single code of law for the whole kingdom in 1274. This was replaced by Christian V's Norwegian Code of 1687. Taiwan (Republic of China) Influenced by German Civil Code. Enacted in 1931. Russia Civil Law system descendant from Roman Law through Byzantine tradition. Heavily influenced by German and Dutch norms in 1700–1800s. Socialist-style modification in 1900s, and Continental European Law influences since 1990s. Serbia First: the Civil Code of Principality of Serbia of 1844, written by Jovan Hadžić, was influenced by the Austrian Civil Code (Allgemeines bürgerliches Gesetzbuch). Present: The Swiss civil law (Zivilgesetzbuch) was a model for the Law on Obligations of 1978. Slovakia Descended from the Civil Code of the Austrian Empire (1811), influenced by German (1939–45) and Soviet (1947/68–89) legal codes during occupation periods, substantially reformed to remove Soviet influence and elements of socialist law after the Velvet Revolution (1989). South Korea Based on German civil law system. Also largely influenced by Japanese civil law which itself modelled after German one. Korean Civil Code was introduced 1958 and fully enacted by 1960. Spain Influenced by the Napoleonic Code, it also has some elements of Spain's legal tradition, starting with the Siete Partidas, a major legislative achievement from the Middle Ages. That body of law remained more or less unchanged until the 19th century, when the first civil codes were drafted, merging both the Napoleonic style with the Castilian traditions. Sweden Scandinavian-German civil law. Like all Scandinavian legal systems, it is distinguished by its traditional character and for the fact that it did not adopt elements of Roman law. It assimilated very few elements of foreign laws whatsoever. The Napoleonic Code had no influence in codification of law in Scandinavia. The historical basis of the law of Sweden, just as for all Nordic countries, is Old German law. Codification of the law started in Sweden during the 18th century, preceding the codifications of most other European countries. However, neither Sweden, nor any other Nordic state created a civil code of the kind of the Code Civil or the BGB. Turkey Modeled after the Swiss civil law (Zivilgesetzbuch) of 1907. Federal courts and 49 states use the legal system based on English common law (see below), which has diverged somewhat since the mid-nineteenth century in that they look to each other's cases for guidance on issues of first impression and rarely, if ever, look at contemporary cases on the same issue in the UK or the Commonwealth. Uzbekistan Represents an evolution of Soviet civil law. Overwhelmingly strong impact of the Communist legal theory is traceable. Common law and equity (legal concept) are systems of law whose sources are the decisions in cases by judges. In addition, every system will have a legislature that passes new laws and statutes. The relationships between statutes and judicial decisions can be complex. In some jurisdictions, such statutes may overrule judicial decisions or codify the topic covered by several contradictory or ambiguous decisions. In some jurisdictions, judicial decisions may decide whether the jurisdiction's constitution allowed a particular statute or statutory provision to be made or what meaning is contained within the statutory provisions. Statutes were allowed to be made by the government. Common law developed in England, influenced by Anglo-Saxon law and to a much lesser extent by the Norman conquest of England, which introduced legal concepts from Norman law, which, in turn, had its origins in Salic law. Common law was later inherited by the Commonwealth of Nations, and almost every former colony of the British Empire has adopted it (Malta being an exception). The doctrine of stare decisis, also known as case law or precedent by courts, is the major difference to codified civil law systems. Common law is currently in practice in Ireland, most of the United Kingdom (England and Wales and Northern Ireland), Australia, New Zealand, Bangladesh, India (excluding Goa), Pakistan, South Africa, Canada (excluding Quebec), Hong Kong, the United States (on a state level excluding Louisiana), and many other places. In addition to these countries, several others have adapted the common law system into a mixed system. For example, Nigeria operates largely on a common law system, but incorporates religious law. In the European Union, the Court of Justice takes an approach mixing civil law (based on the treaties) with an attachment to the importance of case law. 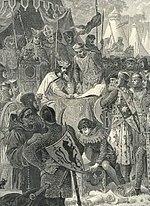 One of the most fundamental documents to shape common law is the English Magna Carta, which placed limits on the power of the English Kings. It served as a kind of medieval bill of rights for the aristocracy and the judiciary who developed the law. Australia Based on English common law. Bangladesh Based on English common law, with family law heavily based on Shar'iah law. Bhutan Based on English common law, with Indian influence. Religious law influences personal law. Canada Based on English common law, except in Quebec, where a civil law system based on French law prevails in most matters of a civil nature, such as obligations (contract and delict), property law, family law and private matters. Federal statutes take into account the bijuridical nature of Canada and use both common law and civil law terms where appropriate. Cyprus Based on English common law as inherited from British colonisation, with civil law influences, particularly in criminal law. Singapore Based on English common law, but Muslims are subject to the Administration of Muslim Law Act, which gives the Sharia Court jurisdiction over Muslim personal law, e.g., marriage, inheritance and divorce. United States Federal courts and 49 states use the legal system based on English common law, which has diverged somewhat since the mid-nineteenth century in that they look to each other's cases for guidance on issues of first impression and rarely, if ever, look at contemporary cases on the same issue in the UK or the Commonwealth. Religious law refers to the notion of a religious system or document being used as a legal source, though the methodology used varies. For example, the use of Jewish and Halakha for public law has a static and unalterable quality, precluding amendment through legislative acts of government or development through judicial precedent; Christian Canon law is more similar to civil law in its use of codes; and Islamic Sharia law (and Fiqh jurisprudence) is based on legal precedent and reasoning by analogy (Qiyas), and is thus considered similar to common law. The main kinds of religious law are Sharia in Islam, Halakha in Judaism, and canon law in some Christian groups. In some cases these are intended purely as individual moral guidance, whereas in other cases they are intended and may be used as the basis for a country's legal system. The latter was particularly common during the Middle Ages. The Halakha is followed by orthodox and conservative Jews in both ecclesiastical and civil relations. No country is fully governed by Halakha, but two Jewish people may decide, because of personal belief, to have a dispute heard by a Jewish court, and be bound by its rulings. The Islamic legal system of Sharia (Islamic law) and Fiqh (Islamic jurisprudence) is the most widely used religious law, and one of the three most common legal systems in the world alongside common law and civil law. It is based on both divine law, derived from the Qur'an and Sunnah, and the rulings of Ulema (jurists), who used the methods of Ijma (consensus), Qiyas (analogical deduction), Ijtihad (research) and Urf (common practice) to derive Fatwā (legal opinions). An Ulema was required to qualify for an Ijazah (legal doctorate) at a Madrasa (law school/college) before they could issue Fatwā. During the Islamic Golden Age, classical Islamic law may have had an influence on the development of common law and several civil law institutions. Sharia law governs a number of Islamic countries, including Saudi Arabia and Iran, though most countries use Sharia law only as a supplement to national law. It can relate to all aspects of civil law, including property rights, contracts or public law. Egypt Islamic law is ensured in Article 2 of the Egyptian constitution. Mauritania mix of Islamic law and French Civil Codes, Islamic law largely applicable to family law. Morocco mix of Islamic law and French Civil Codes, Islamic law largely applicable to family law. Halakha recognized to family law cases for Jewish citizens. Nigeria Sharia in the northern states, common law in the south and at the federal level. Canon law is not divine law, properly speaking, because it is not found in revelation. Instead, it is seen as human law inspired by the word of God and applying the demands of that revelation to the actual situation of the church. Canon law regulates the internal ordering of the Catholic Church, the Eastern Orthodox Church and the Anglican Communion. Canon law is amended and adapted by the legislative authority of the church, such as councils of bishops, individual bishops for their respective sees, the Pope for the entire Catholic Church, and the British Parliament for the Church of England. Botswana Based on South African law. An 1891 proclamation by the High Commissioner for Southern Africa applied the law of the Cape Colony (now part of South Africa) to the Bechuanaland Protectorate (now Botswana). Cyprus Based on English common law (Cyprus was a British colony 1878–1960), with admixtures of French and Greek civil and public law, Italian civil law, Indian contract law, Greek Orthodox canon law, Muslim religious law, and Ottoman civil law. Lesotho Based on South African law. An 1884 proclamation by the High Commissioner for Southern Africa applied the law of the Cape Colony (now part of South Africa) to Basutoland (now Lesotho). (U.S.) Based on French and Spanish civil law, but federal laws (based on common law) are also in effect in Louisiana because of federal Supremacy Clause. Mauritius Laws governing the Mauritian penal system are derived partly from French civil law and British common law. Namibia Based on South African law. South Africa conquered South-West Africa (now Namibia) in 1915, and a 1919 proclamation by the Governor-General applied the law of the Cape Province of South Africa to the territory. (U.S.) Based on Spanish law; influenced by U.S. common law after 1898 (victory of the U.S. over Spain in the Spanish–American War of 1898 and cession of Puerto Rico to the U.S.); federal laws (based on common law) are in effect because of federal Supremacy Clause. (Canada) After the 1763 Treaty of Paris awarded French Canada to Great Britain, the British initially attempted to impose English Common Law, but in response to the deteriorating political situation in the nearby Thirteen Colonies, the Quebec Act was passed in 1774, which allowed a mix of English Common Law and customary civil law, based on the Coutume de Paris. Codification occurred in 1866 with the enactment of the Civil Code of Lower Canada, which continued in force when the modern Province of Quebec was created at Confederation in 1867. Canadian federal law in force in Quebec is based on common law, but federal statutes also take into account the bijuridical nature of Canada and use both common law and civil law terms where appropriate. (UK) Based on Roman and continental law, with common law elements dating back to the High Middle Ages. Seychelles The substantive civil law is based on the French Civil Code. Otherwise the criminal law and court procedure are based on the English common law. See Seychelles Legal Environment. South Africa An amalgam of Roman-Dutch civil law and English common law, as well as Customary Law. Swaziland Based on South African law. A 1907 proclamation by the High Commissioner for Southern Africa applied the Roman-Dutch common law of the Transvaal Colony (now part of South Africa) to Swaziland. Thailand The Thai legal system became an amalgam of German, Swiss, French, English, Japanese, Italian, Indian and American laws and practices. Even today, Islamic laws and practices exist in four southern provinces. Over the years, Thai law has naturally taken on its own Thai identity. Vanuatu Consists of a mixed system combining the legacy of English common law, French civil law and indigenous customary law. Zimbabwe Based on South African law. An 1891 proclamation by the High Commissioner for Southern Africa applied the law of the Cape Colony (now part of South Africa) to Southern Rhodesia (now Zimbabwe). Despite the usefulness of different classifications, every legal system has its own individual identity. Below are groups of legal systems, categorised by their geography. Click the "expand" buttons on the right for the lists of countries. Some studies show that ethnic minorities are more likely to feel that the legal system within their particular jurisdiction is unfair and unjust. People with mental health issues, particularly young ones are also likely to have a low opinion of the justice system. ^ "Legal Systems of the World" (PDF). Saint: Security Sector Development. ^ Wood, Phillip (2007). Principles of International Insolvency. Sweet & Maxwell. Retrieved 30 August 2015. ^ Wood, Phillip (2008). Maps of World Financial Law:Law and practice of international finance series. Sweet & Maxwell. Retrieved 30 August 2015. ^ "English Common Law is the most widespread legal system in the world" (PDF). Sweet & Maxwell. November 2008. Retrieved 30 August 2015. ^ Triggiano, Annalisa. "Towards a Civil Code: The Italian Experience". Teoria e Storia del Diritto Privato. ^ Franklin, Mitchell (Spring 1951). "On the Legal Method of the Uniform Commercial Code". Law and Contemporary Problems. 16 (2): 330–343. ^ "Ministerio de Economía y Finanzas Públicas - Argentina". InfoLEG. Retrieved 19 January 2017. ^ "Comienza a regir el nuevo Código Civil y Comercial". Jornadaonline.com. Retrieved 19 January 2017. ^ "Opći građanski zakonik | Hrvatska enciklopedija". Enciklopedija.hr. Retrieved 19 January 2017. ^ Valeriu Stoica (2009). Drept civil. Drepturile reale principale. Bucharest: C.H. Beck. pp. XIII. ^ "Magna Carta". Retrieved 10 November 2006. ^ a b c Pain, JH (July 1978). "The reception of English and Roman-Dutch law in Africa with reference to Botswana, Lesotho and Swaziland". The Comparative and International Law Journal of Southern Africa. 11 (2): 137–167. ^ "Mauritius-Penal System". Retrieved 19 March 2018. ^ Geraldo, Geraldine Mwanza; Nowases, Isabella (April 2010). "Researching Namibian Law and the Namibian Legal System". Retrieved 7 May 2013. ^ "Types of courts in Dubai". Dubai.ae. Retrieved 19 January 2017. ^ 12.30 EST (5 February 2015). "Youth justice system is 'failing vulnerable young offenders' | Society". The Guardian. Retrieved 19 January 2017. Moustaira Elina N., Comparative Law: University Courses (in Greek), Ant. N. Sakkoulas Publishers, Athens, 2004, ISBN 960-15-1267-5. Moustaira Elina N., Milestones in the Course of Comparative Law: Thesis and Antithesis (in Greek), Ant. N. Sakkoulas Publishers, Athens, 2003, ISBN 960-15-1097-4. Palmer, Vernon Valentine, Mohamed Y. Mattar, & Anna Kopper, eds. Mixed Legal Systems, East and West. Farnham–Burlington, VT: Ashgate, 2014. This page was last edited on 21 April 2019, at 17:38 (UTC).